You can be taken off-guard by the ACT test, particularly the Math section. That is if you are not prepared. With all study tips and ACT practice tests out there, how do you get a good ACT Math score? 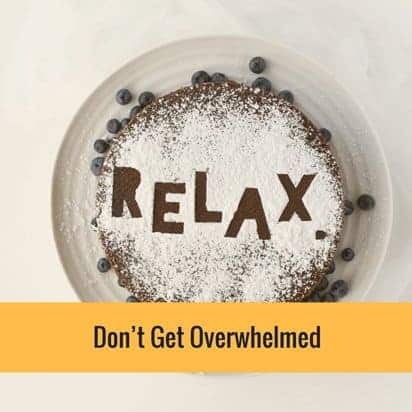 The first thing you need to do to avoid having that overwhelming feeling of fear and anxiety about the ACT Math test is to know what’s in it. Get a good idea of what you’re going to see in the test. In the Math section of the ACT, you’ll find 60 questions that you need to answer within 60 minutes. That gives you a minute to answer each question in the test. At the same time, be aware that not all the questions in ACT Math are created equal. The questions also progress in difficulty. Questions #1- #20 are categorized as easy, questions #21- #40 are medium and questions #41-#60 are considered as hard. The ACT Math test includes higher math topics. These include number and quantity, algebra, functions, geometry, statistics and probability, and also other essential skills that you have learned before eighth grade. You have to pay attention to the details. This is important to get a good score on the Math portion of the ACT test. Oftentimes, test-takers say they missed some Math questions because of “stupid mistakes” when in fact they could have easily been prevented in the first place. In these instances, students know how to arrive at the correct answer but failed to get all the details. Sometimes, the student is in a hurry that he failed to mark the correct answer. ACT Math problems are designed to test your ability to take notice of and interpret every number, word, graphic or symbol in a math problem. Teach yourself how to scan and analyze math questions, particularly the minute details of math signs, decimals, graph and chart components and how story problems are worded. Double check your answers and make sure that you marked the correct ones. 2.Know how to handle multiple-choice questions. The ACT Math test is composed of multiple-choice questions. You will not be asked to show how you solve math problems. Instead, you will find that the answers to the math problems in the ACT test are right in front of you. You simply have to choose the correct one from among the options. As you prepare for the ACT Math, learn ways to eliminate wrong answers and the different ways the questions would try to confuse you with answers that may seem right but are actually wrong. 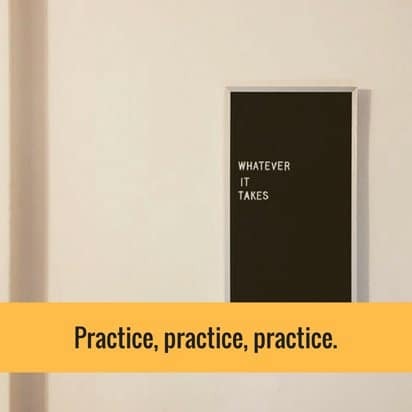 A good practice is to always answer the easy questions first, then go back to the difficult ones once you are done. 3. 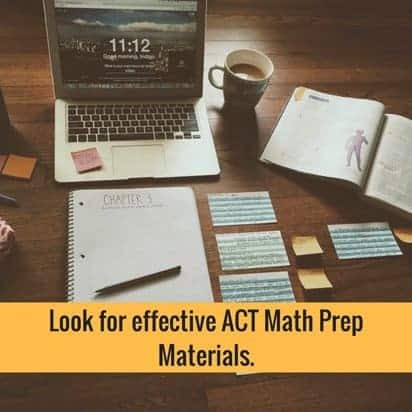 Look for effective ACT Math Prep Materials. 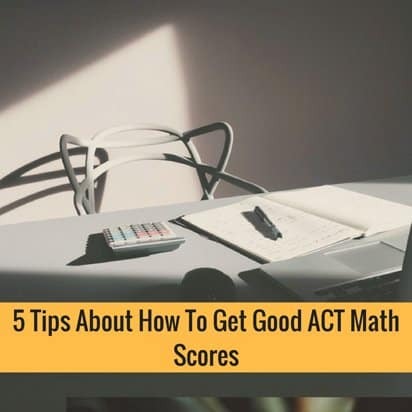 You will find a lot of ACT Math prep materials out there and choose the best one can be tricky. The key here is to look for credible sources online that offer study guides, helpful tutorials, and practice tests. Start with ACT.org. A study guide will tell you what’s included in the test and what topics you need to review. ACT tutorials will show you how to solve math problems and you can test your skills with ACT practice tests. 4. Limit your use of calculators. While practicing for ACT Math, try not to use the calculator. In the ACT, you are allowed to use the calculator, but be careful not to waste your time on it. Test and improve your analytical skills by doing mental math and estimation. More often than not, they’ll make you arrive at the right answer instantly. Using the calculator tends to consume more time. Note as well that writing down some math problems on a piece of paper will improve your accuracy. At the same time, consider that you could easily enter a wrong number in your calculator but it is actually harder to write down an incorrect number. Think carefully whether it is necessary to use the calculator and avoid its use as much as you can. 5. Get information about what’s in the Math test and practice, practice, practice. Be in the know about the topics that you’ll encounter in the Math section of the ACT test. Your goal is to not be overwhelmed by the items that are right in front of you when you’re about to take the test. There are numerous sources of information and practice materials at your disposal. Be resourceful when looking for these. When you take practice tests, it would be good to start with topics that you find difficult. Start with areas that you need to improve on. Do the easy questions last. Of all the sections in the ACT test, the Math section is the most topic-based. Some problems that you’ll come across within this portion would require your knowledge of specific formulas and techniques. Still, there are also items where you can apply one or more general strategies in order to eliminate wrong answers. You’re going to have to use your pen and paper and your calculator on the rest of the questions. With practice and effective study strategies, you can pass the test and good a good ACT math score. 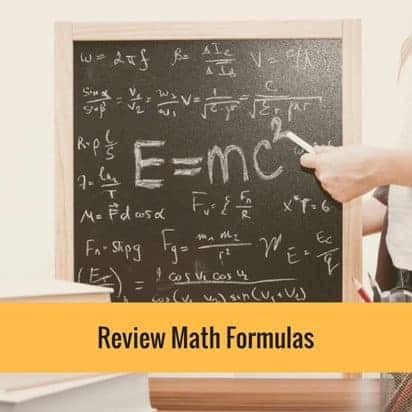 Don’t just memorize math formulas you’ve learned in high school, but make sure that you know how to use them. Again, watching tutorials is a great way to refresh your memory. This is also the best time to revisit math formulas that you never really understood. If they are covered in the ACT math test, learn how to use these math formulas and answer ACT practice tests to test if you understand their application.